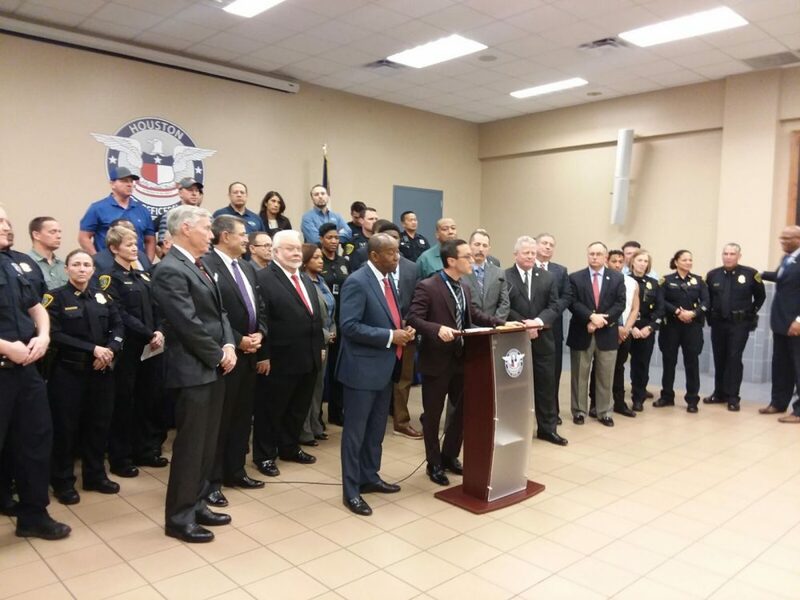 Joe Gamaldi, president of the Houston Police Officers’ Union (center at podium), during a Jan. 31 2018 press conference with Mayor Sylvester Turner and City Council members. Randall Kallinen, a well-known local civil rights lawyer, said the comments made by the HPOU president are what the security forces of a “dictator” would say. Acevedo said HPD has received “a lot of phone calls” from the community denouncing Gamaldi’s remarks.